Groove Cruise is the world’s largest floating dance music festival. Groove Cruise Los Angeles sets sail this week to Catalina Island and Ensenada, Mexico. The cruise is sold out and will be a wild party on the high seas. 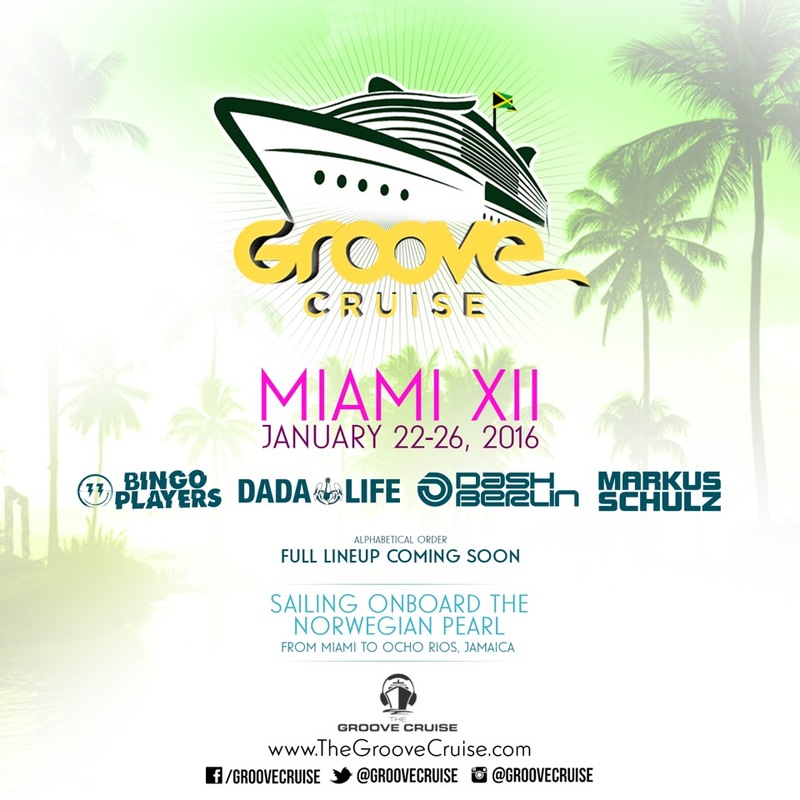 If you missed out on securing your tickets, well, you can still attend Groove Cruise Miami. It sets sail to Jamaica on January 22nd, 2016. Bingo Players, Dada Life, Dash Berlin, and Markus Schulz will be playing! Expect dozens more DJ’s to be added to the lineup in the coming weeks! This will be one party you won’t want to miss. Rooms are available but they are going fast. For more information check out: http://www.thegroovecruise.com. You can save $50 with the code EDMMANIAC.